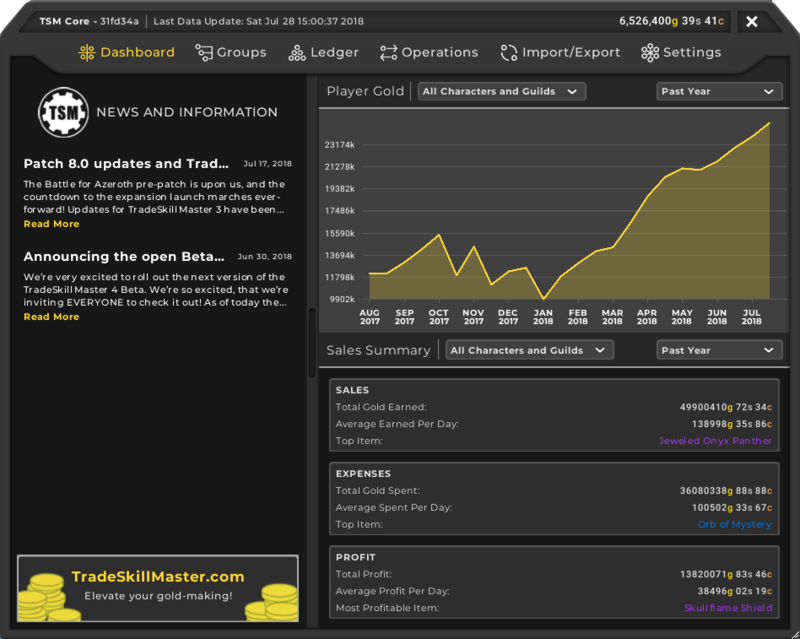 We’re very excited to roll out the next version of the TradeSkillMaster 4 Beta. 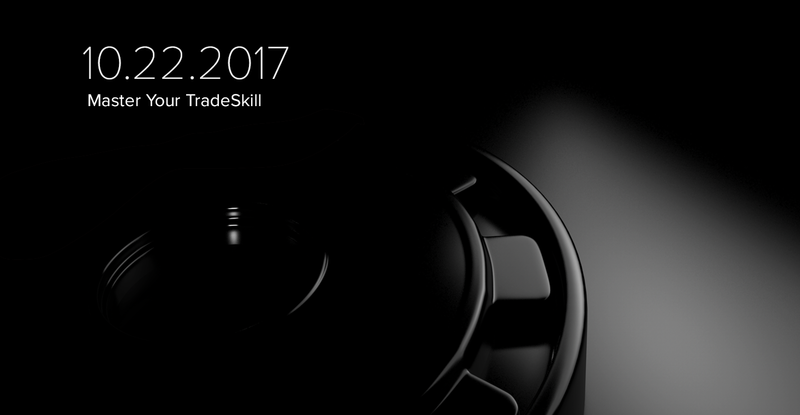 We’re so excited, that we’re inviting EVERYONE to check it out! 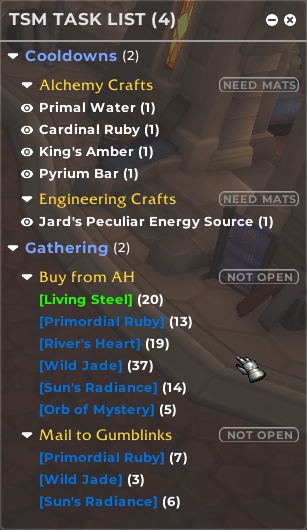 As of today the TSM4 Beta is accessible to everyone as soon as you sign up for an invite as part of the TSM4 Open Beta. 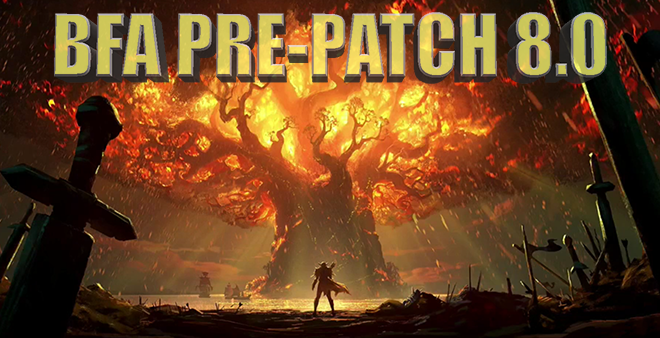 This will begin our final steps towards the official release before Battle for Azeroth, and we’re looking forward to have as many of you participate as possible to help iron out the final issues and bugs. 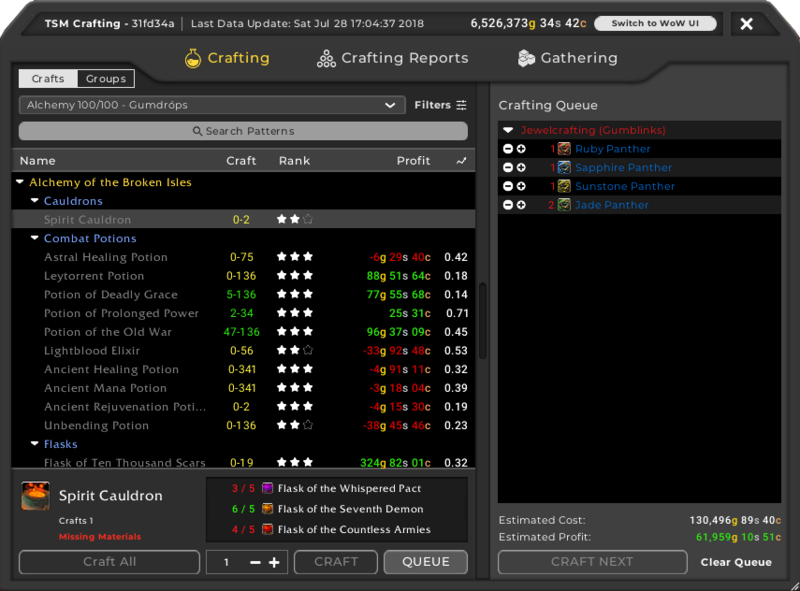 Please note that TSM4 is still not yet a fully finished product and there is a small chance you will encounter issues or bugs that we are looking to resolve from your feedback and reports. 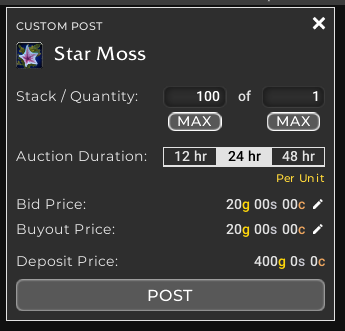 If you’re not ready to get involved in that kind of process you may be more interested in checking out the public release coming Soon™. 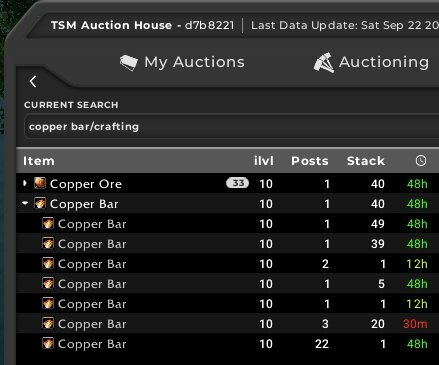 If you’d like to dive right in, you can sign up right now and download the TSM4 Beta immediately! 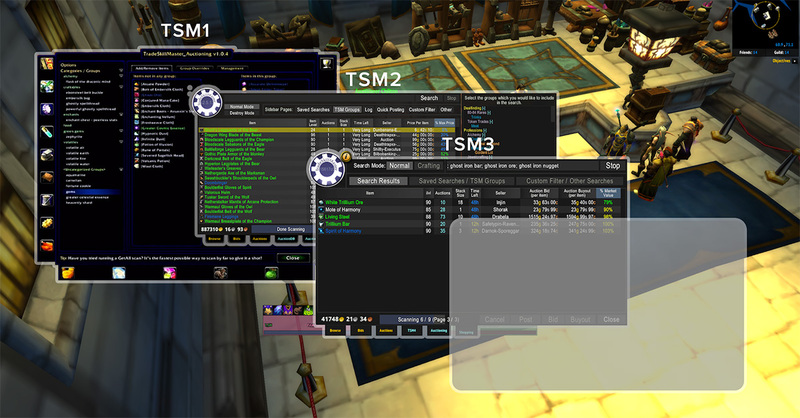 The first major update in this Beta release is the Bank UI which has been given the TSM4 treatment. 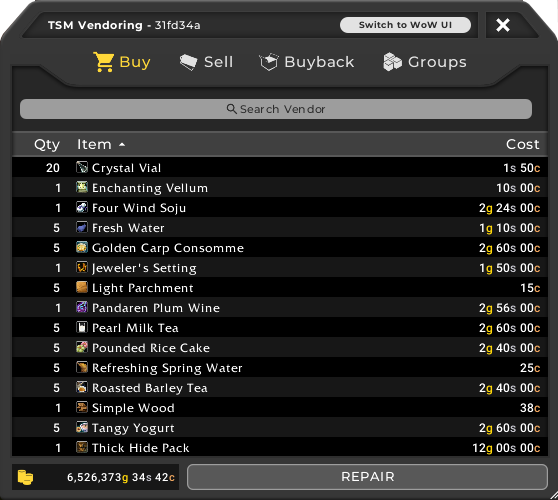 You’ll notice it has the familiar structure from TSM3 but with added TSM4 functionality including a more robust Group Tree and added search bar, plus a progress indicator when moving items between your bags and bank or vice versa. 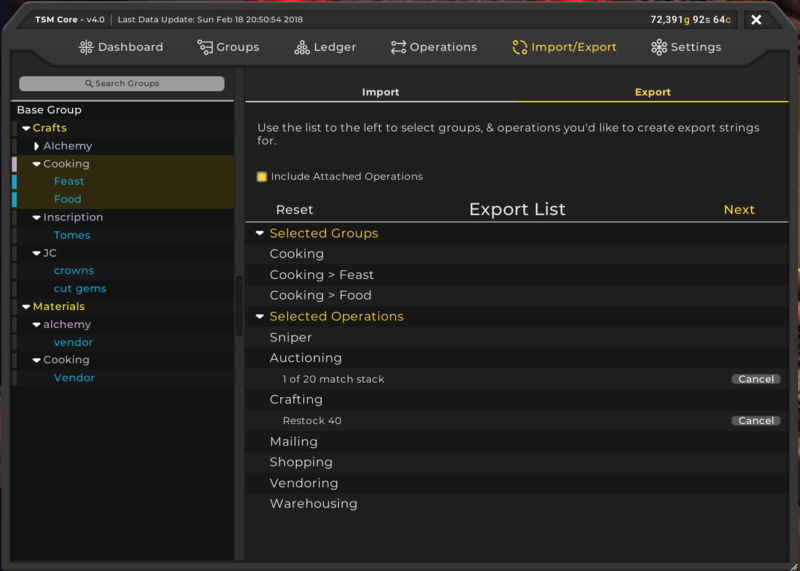 Handling your items and moving them when you need them is an important aspect of your gold-making strategies so we’ve gone under-the-hood to speed everything up. 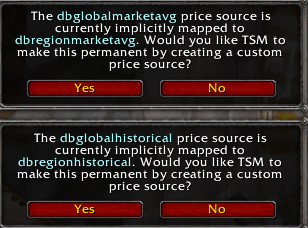 Depositing and withdrawing is much more efficient in your personal and guild banks, despite the known issues on Blizzard’s side. 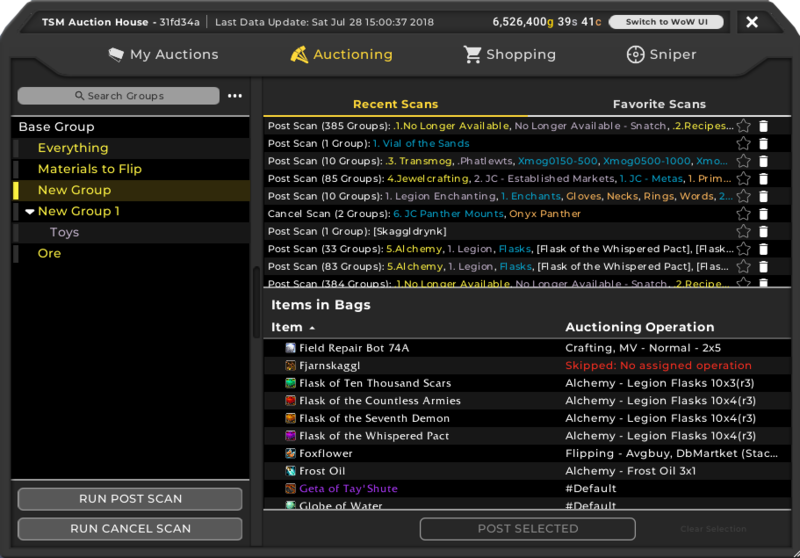 We hope you can make use of the various shortcut buttons such as moving everything in a selected group to your bank or bag, moving everything not in the selected group, moving items that are missing from the Auction House according to your Auctioning Operation to your bags or even depositing all of your reagents to your bank. 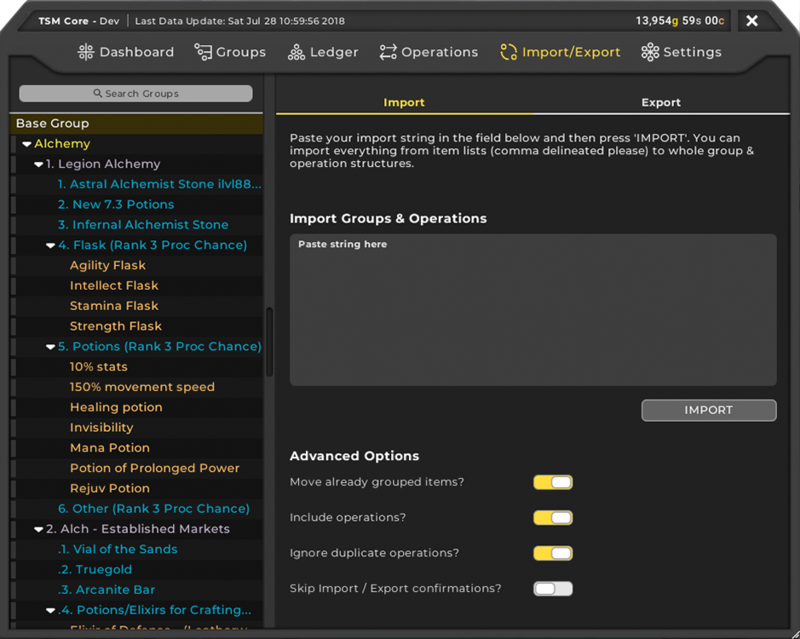 Whatever your desired move strategy, we’ve got you covered! 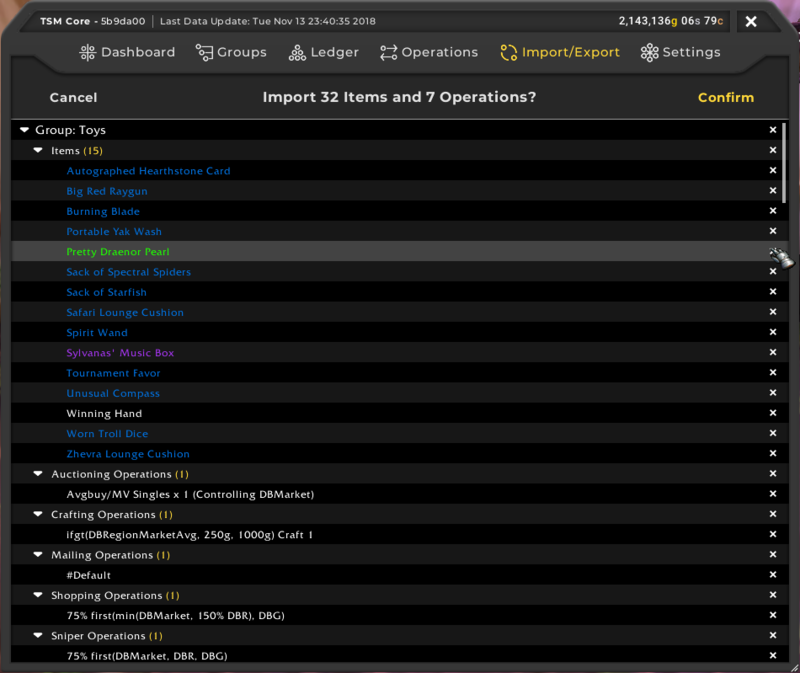 One of the final aspects of the TradeSkillMaster interface to receive a face lift and be brought in to the new design environment is the Mailing UI. 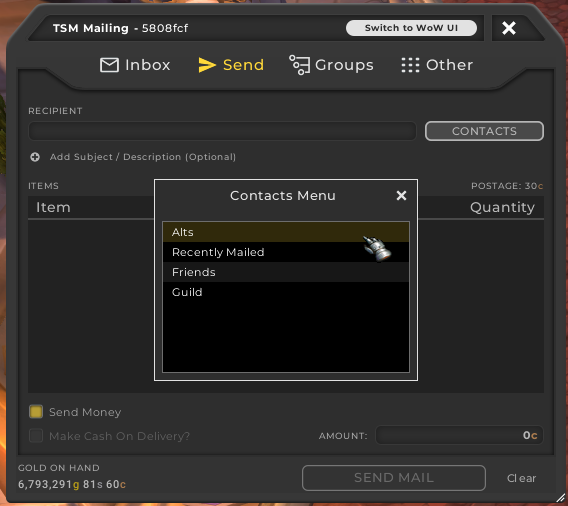 We’ve made sure to maintain the lightening-quick responsiveness of the mailbox, and keep things familiar with the structure of the interface. 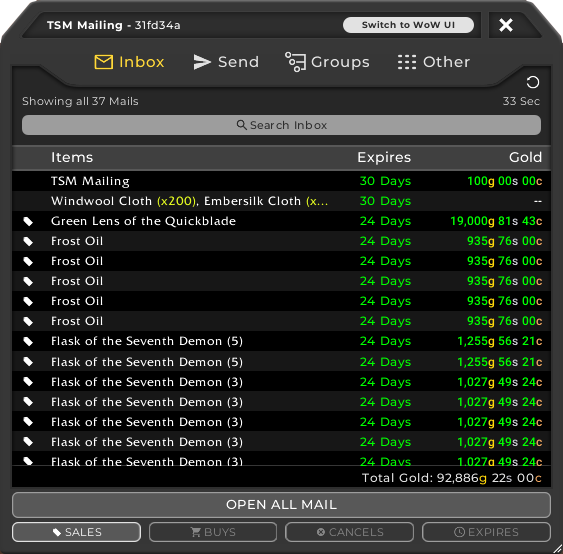 However with the added TSM4 functionality and quality of life improvements you’ll get a much better idea of what’s in your mail at a glance. 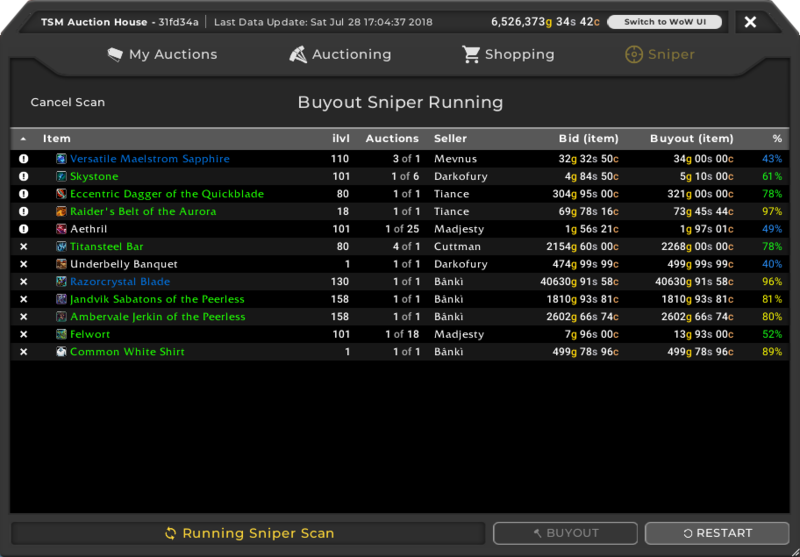 The interface is also re-sizable and move-able! 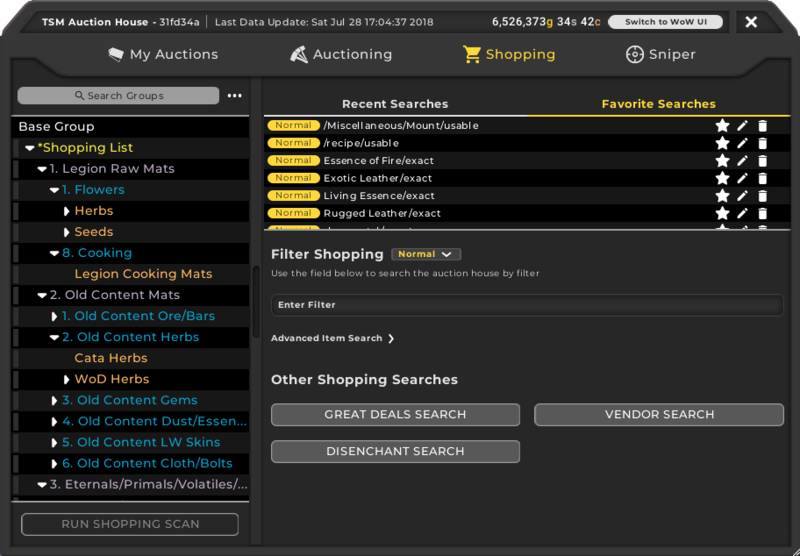 You can now filter the mail on the first page, to find the specific item you’re looking for plus the new TSM4 Group Tree is also introduced when you’re selecting the items you want to send to your alts. 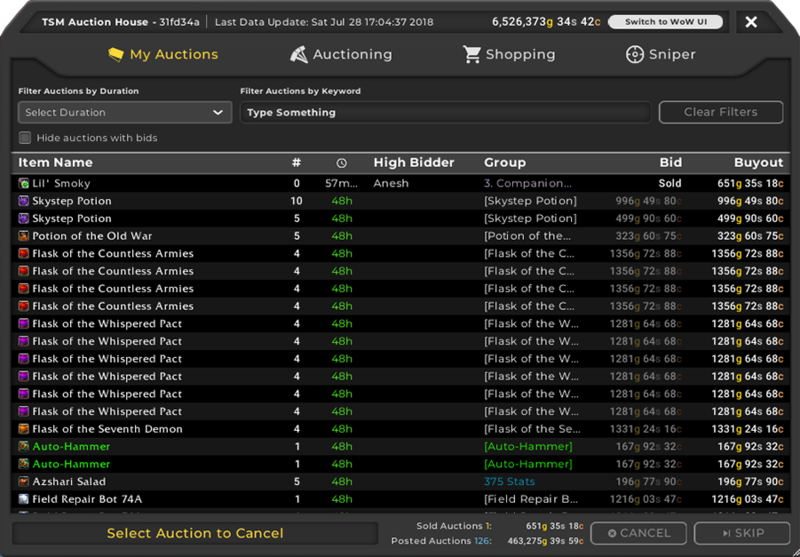 Amounts paid for purchased auctions and gold earned from auction sales are also much more clear, with color-coded highlights indicating when your mail is set to expire completely. 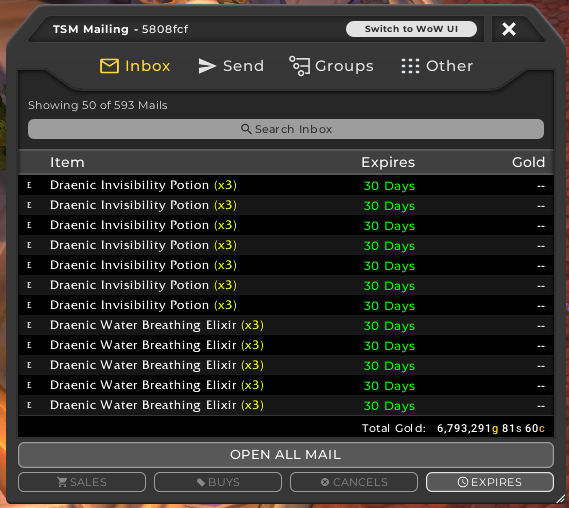 In addition, we’ve also made it possible to send regular mail through TSM! 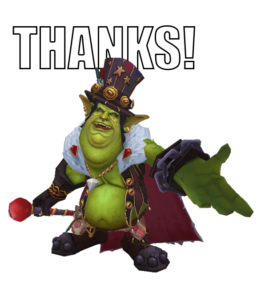 This has been a long time coming, so we had to make sure it was done properly. 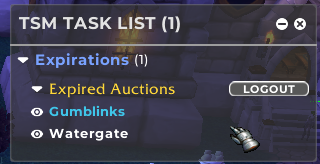 There’s now a really handy ‘Contacts’ address book, which allows you to quickly select an alt, friend or guildmate without needing to set up a Mailing operation for a one-time postage. 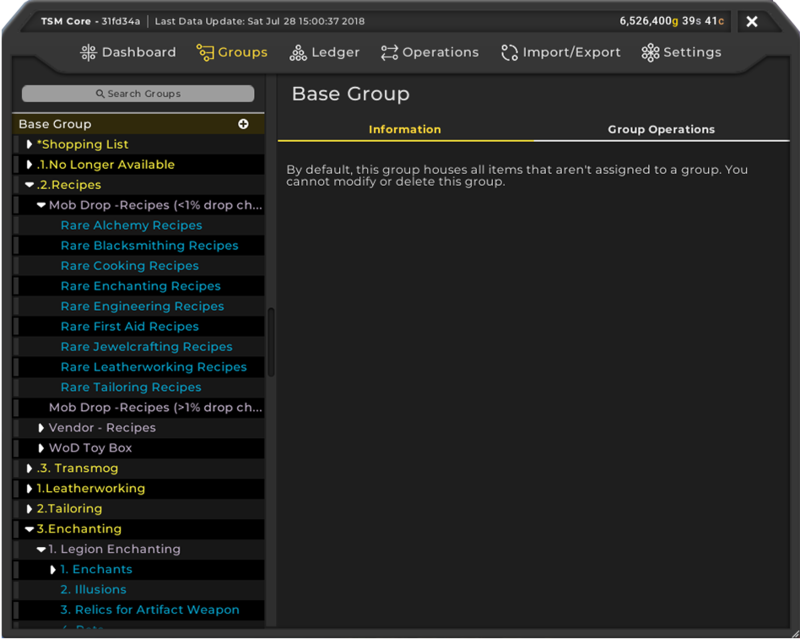 We’re super excited to introduce a brand new tool to the TSM addon suite called the Task List. 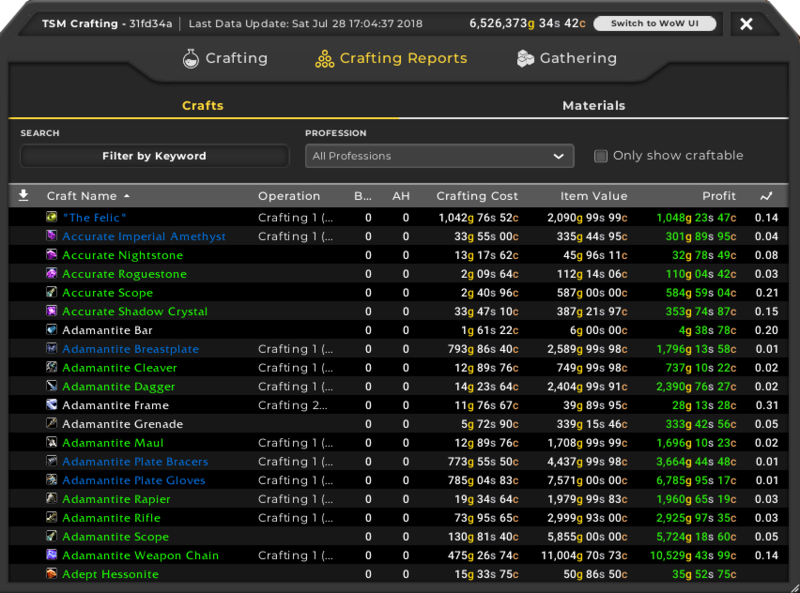 As the name implies, this new feature will help you manage your daily, one-off or recurring tasks such as Profession Cooldowns, gathering for your crafting queue and shopping to restock some items. 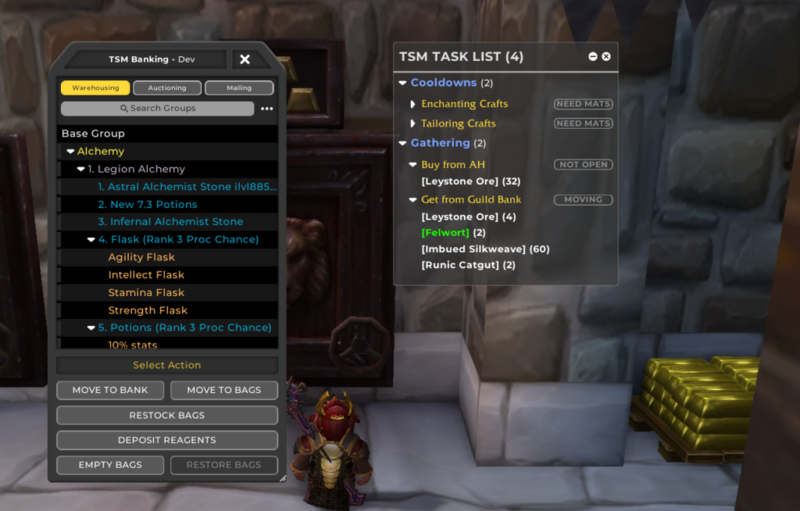 The Task List will combine the functionality of Smart Cooldowns and Gathering from TSM3 in the first iteration. 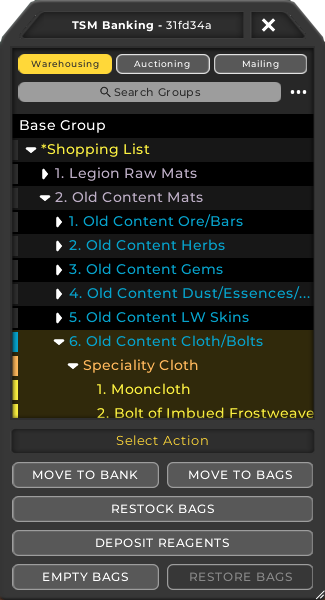 This is a very early version of what we envision to be a powerful aspect of the TSM tool set, and we hope the introduction of it now will form a solid foundation to build upon and introduce more functionality in the future including multiple character task tracking, or other ‘reminders’ based on your Auctioning or Crafting Operations. 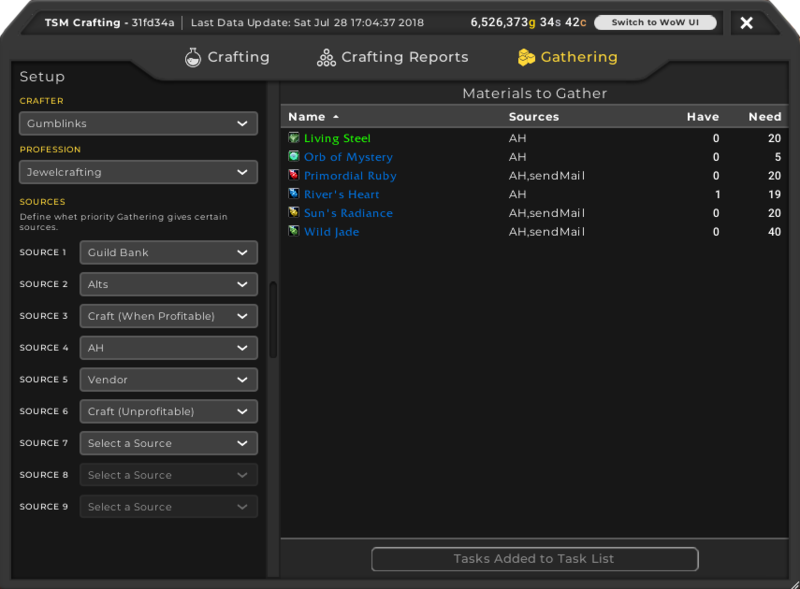 We would love to hear your thoughts and feedback on the Task List, what kind of tasks and activities do you track for your gold-making strategies and how can the Task List help with that?